Upon first glance at today’s cover page on bing.com, I was baffled. As is protocol with viewing Bing’s daily front page, I scrolled over the image to navigate to one of the four informational boxes. 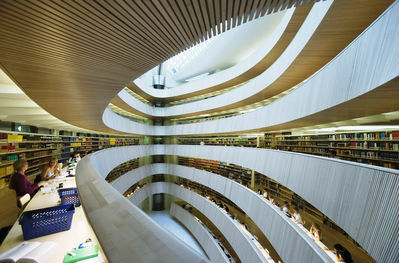 The link took me to a collection of pictures of the University of Zurich Library. The big, dramatic curves guide your eyes within its grandiose space. This description is hardly ever used to characterize a library. Most of us know libraries to be very quiet, calm and non-exciting. 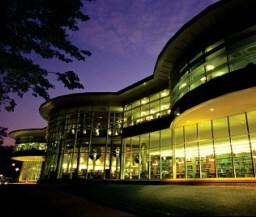 The need for such fancy, eye-catching exterior and interior designs is considered nonsense when referring to a place to read, write and study. Books, periodicals, research journals, magazines, movies and so forth remain popular commodities with the public for various reasons. Despite the demand and ample supply on the shelves, libraries are rarely packed from wall-to-wall, unless it’s mid-term or finals season. 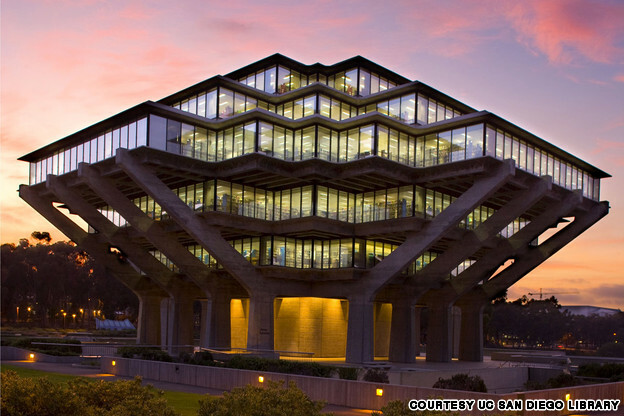 As a solution, I suggest more libraries search out for private investment collaborations. Specifically, imaginative minds, inventors and architects who would jump at the opportunity to make his or her mark. Living in the age of information (ie- digital technologies), libraries offer an outstanding and nearly unlimited resource for people to invest their time and energies to further their education and personal enlightenment. 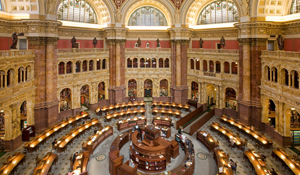 It’s time to view libraries as not just a building filled with old books and shushing librarians, but instead a destination of learning. 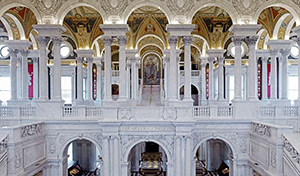 In other words, it’s time to follow the lead of some around the United States and the world in their recent and historic efforts to boldly brand libraries as, generally speaking, “a cool place to be.” The silence must be upheld, along with the other proper rules and norms for any library. Learning and expanding one’s mind still need to be the predominant objectives. The primary difference is making the trip to the library an experience for people of all ages with dynamic and innovative educational value, attraction and content. 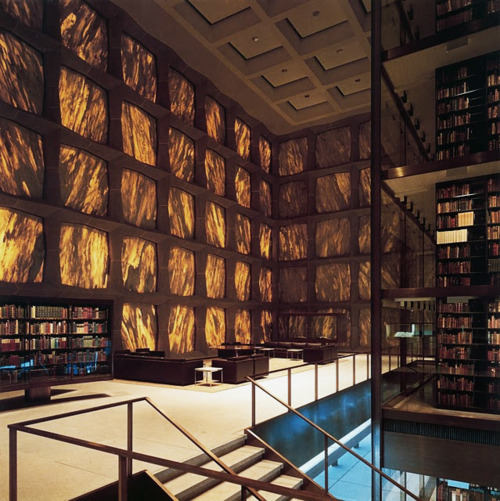 Above are only a few examples of how architects throughout history have defined libraries as spaces intended for learning whilst being surrounded by magnificent inspiration. Hopefully, the future will feature creative minds who expand on past and present designs (there really is something truly special about those old world libraries and the history they speak to its visitors…). Architects could also innovate these themes with entertaining and engaging technologies with the aspiration of uniting communities and people all around the world towards the journey of abundant knowledge and unparalleled perspective. With all the technological advancements and varying mediums for sharing and presenting information, the grand opportunity to innovate, reinvigorate and redirect the public to the library in masses is undeniably present. Could this mean holographic shows with famous historical figures? Perhaps. There are seemingly countless possibilities. The key is finding and connecting with eager and imaginative men and women (like Ted Mosby, formerly of Mosbius Designs) to collaborate with to build these kingdoms of knowledge. Kingdoms of knowledge…sounds like an adventure already.